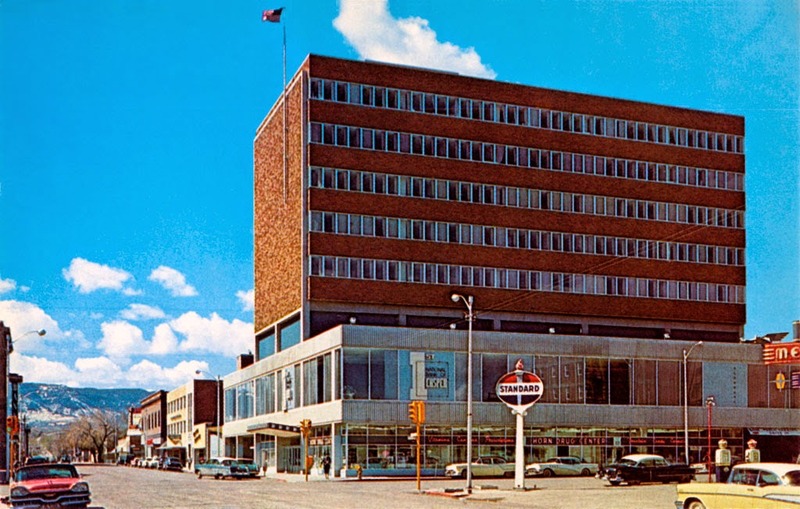 The First National Bank Building is still there. There have been plenty of changes since back in the day. But it's still there! 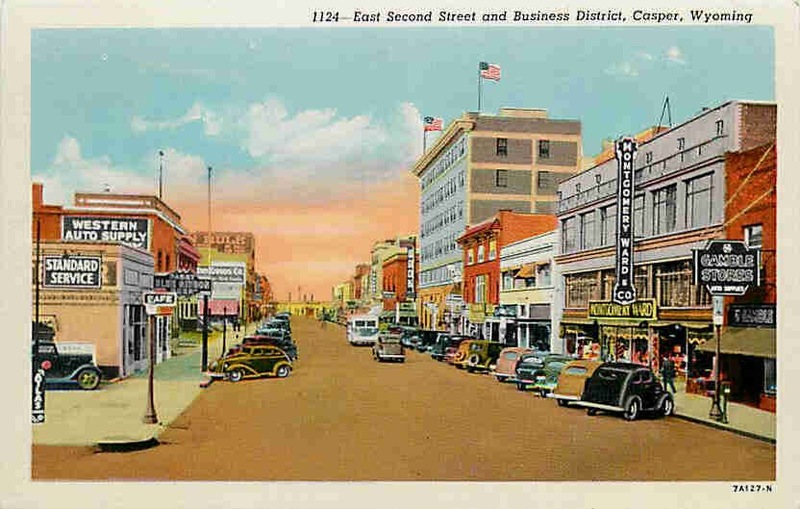 East Second Street and Business District are still there. It took some hunting, but most of the more visible buildings on the right-hand side of the postcard are still recognizable. This one had me flummoxed, until I realized that "1136" is the postcard's number, not a street address. However, Center Street is still there. 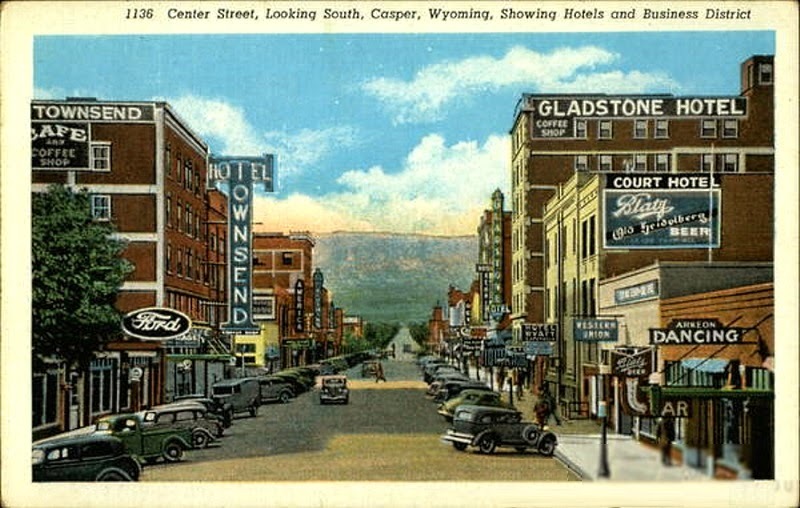 The Hotel Townsend, on the left side of the street in the postcard, has been remodeled and expanded, and is now offices and a courthouse for Natrona County. You can see a ghost, or "wall dog" as they are called, of the old Court Hotel sign in the modern photo. And there's still a ridgeline in the distance. I was surprised to see the orange "I" of First Interstate on the bank building, because I thought it was swallowed up by Wells Fargo years ago. But apparently, it has been allowed to carry on in Wyoming, Montana, and South Dakota! Striking temporal continuity on the main drags of Casper, I would say. I know I'm super late to this post, but still...I love seeing the old and the new juxtaposed. Most awesome.